There are three big international events this weekend - the two Sevens World Cups in sunny San Francisco and the quarter-finals of Super Rugby in Australia, New Zealand and South Africa as teams seek to knock opponents out. 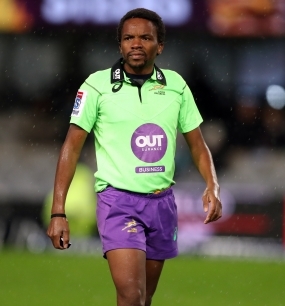 Rasta Rasivhenge and Alhambra Nievas both refereed finals of the Sevens at the Olympic Games in Rio de Janeiro, the first such event at the Games and so forever marking their place in history. They received the Referee of the Year award in 2016, as Joy Neville did in 2017. Some of them have represented their countries at 15s or Sevens - Richard Haughton, Damon (USA), Rasta Rasivhenge (South Africa), Jérémy Rozier (France), Matt Rodden (Hong Kong), Damian Schneider (Argentina).